Oral interview with Derya Akay. Interviewed by April Thompson for the Feeding Community podcast. Derya is a Vancouver-based artist who often incorporates food and food themes into his works. 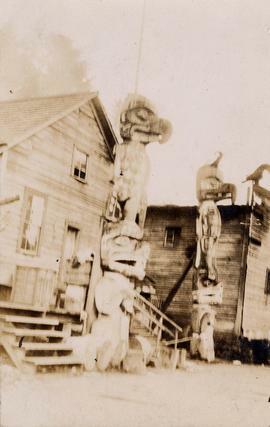 Image of totem poles. Image is blurry. 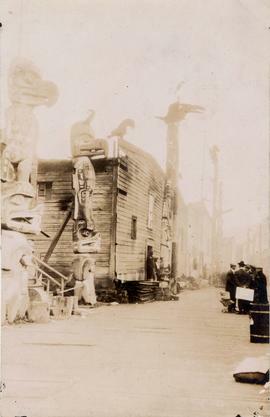 Image of three totem poles and a building. Black and white image of a Thunderbird totem pole at Alert Bay.